The Fishtail Bracelet is one of the simplest designs to make. 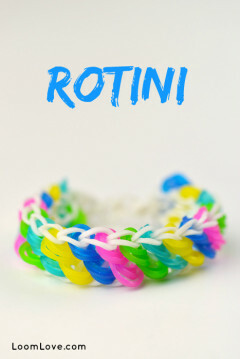 Even though it’s simple, it’s still one of the most striking Rainbow Loom bracelet patterns. 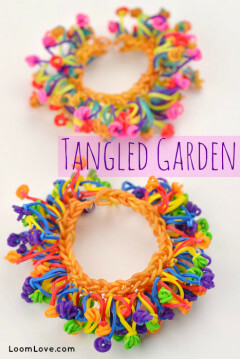 Because these bracelets are so easy to make, we have oodles of them in all different colors. I love this sooo much! Totally love rainbow loom! thank you for teaching me how to do this! Awesome job, thanks a ton!! My girls caught right on! super easy directions. Thank you for being so detailed!!!!! Great job teaching this style! I love the fishtail bracelet and I made a charm to;)!thx alot. omg I made 64 of these and sold them all! got 40 dollars n man pepl still ask me to make more their children! thanks a million! MADE ALL UR BRACLETS BTW SOLD THEM TOO! I made this band with my hands. It looks exactly like the one i made with the loom. You’re a great teacher! Thank you. Malorie loved your video, it was awesome!! I love this bracelet! I am learning how to do the fishtail braid for hair. This bracelet rocks! This is awesome, I taught my sister and she is a starter….but she thinks this is really easy!! Thanks so much for all of the help, it means so much for my sister and I. Love the video, PS- your so easy to learn from. ???? Great job !! This really help me …..
thank you it was soooo easy to understand!!!!!!!!! 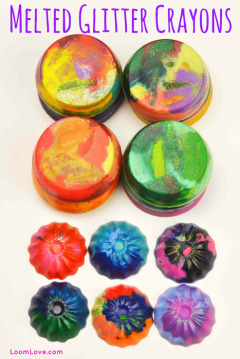 we have made alot of them,they are so fun and easy to make!!!! Looks awesome, and so easy! Tricks my friends into thinking I’m good at RL, if you know what I mean ???? You should try incorporating Perler Beads into the bracelet, it looks amazing! Cheers! I made this as my first bracelet and it really worked i love making theese now! Thanks Ashley, you rock girl! Amazing instructions. Well done. 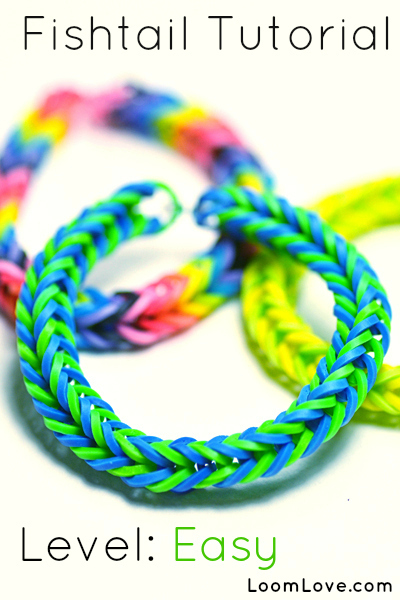 You made it so easy for us to create the fishtail bracelet. THANK YOU! Now I can teach my 5 daughters!! Love this!! I have crazy loom but it still turned out the same way! Awesome direction im on my third one so far! 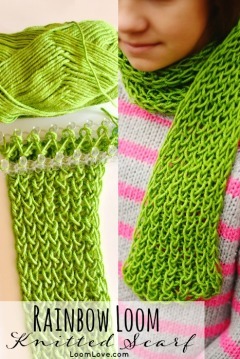 I am finding the YouTube clips very hard to follow, Indo not have a hook I use my finger or my loom. Is there anything I can try without getting angry or upset?????? 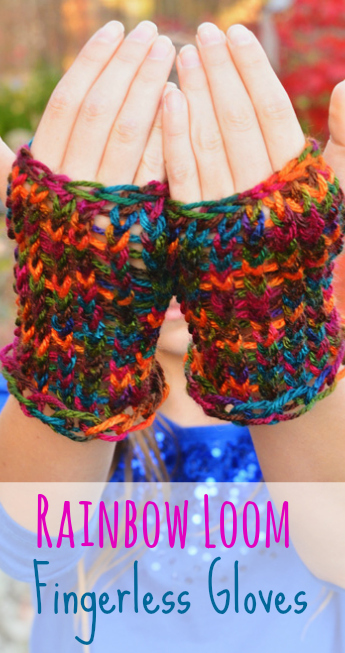 Do you have a Hexafish tutorial? very good directions. thank you. 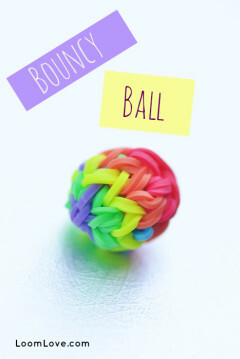 This amazing bracelet is SOOOOO easy that my 3yearold sister almost did it by herself!!!! Btw 1 interesting question : who is this great girl ( her name is Ashley I think ) does almost all the bracelets at the videos? She is SO GOOD AND COOOOOL!!!!???????????????????????????????? Thank you so much, your a really good teacher. 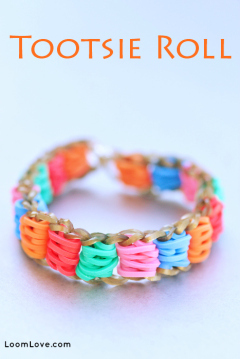 I am now in love with loom bracelets!!! ???????????? Thank you so much, I tried to read a pamphet that I got in the peg box but it just had numbers over the pegs and that is it. I am going to watch other videos to do other bracelets. Your video is so clear and easy. You really do rock, thanks again. Loved the tutorial! Great job! wow its easy when you watch you tube thanks !!!!!!!!!!!!!!!!!!!!!!!!!!!!!!!!! I can teach my friends how to make them now too !!! How many bands would you need on average? I watched your clip so as to make some bracelets for my 6 year old son. I am not creative at all but your instructions were so easy that I could even follow them successfully!! Thank you! 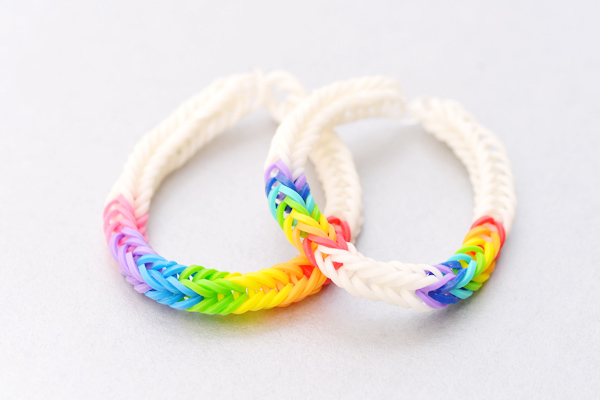 IS THERE ANY WAY TO MAKE A LOOM BRACELET WITHOUT THE BROAD? Ashley! You are a star, found your video so easy to follow and have a gorgeous bracelet! Keep the videos coming! OMG THIS IS SO COOL! Ashley your a great teacher and you sound so young! thank you so much for showing me how to make my first loom bracelet, it turned out really good. 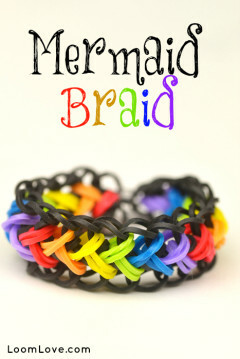 Please do more videos showing easy to make bracelets with just the monster tail loom! Thanks! I was looking through the tutorials and thought this might not be that easy, but your instructions were great! I cannot wait to make some of these! Thanks so much for your wonderful video!! Good job! That was brilliant. I’ve been trying to do this for days, and your video helped me to make my first fish tail bracelet. Thank you, Ashley! Just like to inform you that your tutorial is not just been seen by children. a 50+ year old person also found the video interesting and easily understood the instructions. Many thanks. Well done on a clear instruction. I sat with my 2 boys ages 4 and 6 and we did it together and this was really easy to follow. Job well done. It’s a real fun to learn how to make loom bracelets with you Ashley!!! thanks a lot for these great videos! Thanks Ashley, your video was a big help! Will this use more loom bands than the single bracelet? THANK YOU! My 5 year old now can do her second type of bracelet. We loved your video. Awesome video, from knowing absolutely nothing about how to make loom bracelets, I’ve learnt how to do the basic & fishtail from your videos, clear & well explained. Thank you. Thanks so much Ashley!!! This video helped me so much and I wouldn’t be making fishtail bracelets that I love if it wasn’t for you and everybody else at Loomlove.com! You can use your finger or pencils aswell for the people who dont have looms , same for normal and inverted fishtail . My friends say they use 2 forks for star wearver. How do you make a fishtail ring????? Thanx for this video Ashley, it answered many of my questions! Thanks.Those instruction’s REALLY helped me. P.S That’s really for every loom band???? 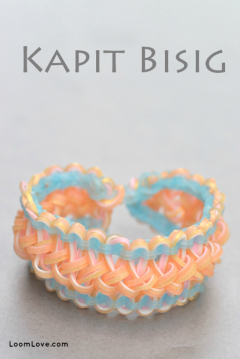 I REALLY LOVE LOOM BANDS!!! Great vid. You made it look easy. I’m going to use your vids for all the designs. Well done. Thanks for your video, lovely clear explanation on making the fishtail. 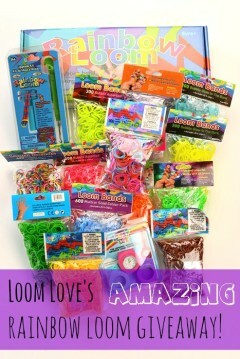 I’ve bought a loom kit so I can make bracelets with my granddaughter she will be so surprised. ???????????? Thanks, Ashley! Great job! I used your video to help my 8-year-old son make his first bracelet. Your instructions and pictures were really clear and easy to follow. Now he is finishing the bracelet himself. Thanks so much! This was exactly what we needed to help us! I’ve made 3 fishtail bracelets & before I finished it off I plaited them. It looks great but how do I connect them together & finish off? Coming to loom bands on the loom I am a really noob! This guide is amazing and I knew how to do it in seconds! Thank you. Very clear and easy to follow instructions. Making my first fishtail bracelet. Thanks to this video I’ve made loads of fishtails! I was always confused on how to make a fishtail. Now, I 100% understand how to make one! This is so awesome and easy!! Thank you. Very well explained. Thank you! Loved the very clear and thorough explanation!! Will be doing this with my 5 and 4 year olds! 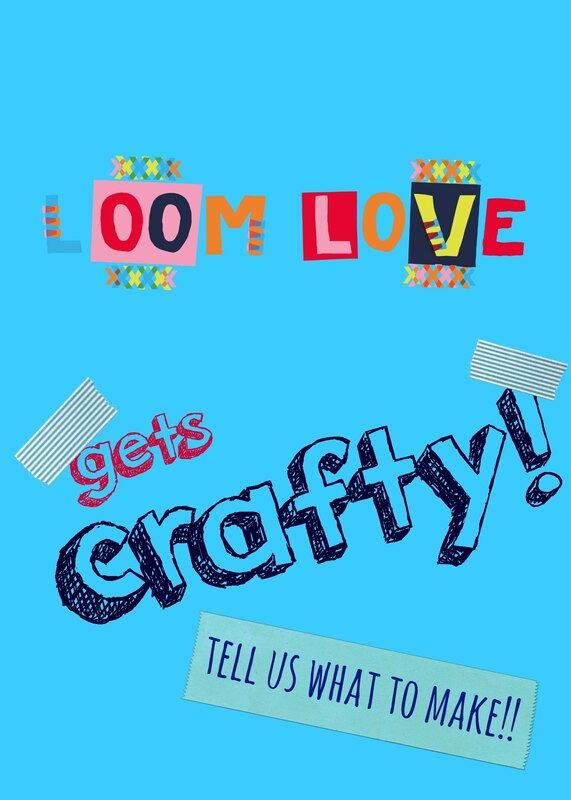 kool way loom just got popular with a capital P.
I love this website and video! Me and my little brother forgot how to make these now we know how again! Thanks a ton from us both! I think about Fishtails because it so colorful and easy and it’s quick. This 79-year old Gaga just learned something new. Now I will teach my granddaughter how to make these. Thank you so much. You made a clear presentation with very good instructions and easy-to-follow steps. You are a very good teacher. I think I might have made my own fishtail design but I’m not sure. All you do is alternate between fishtail dnf inverted fishtail. You hook over the bottom bnd like a fishtail, add your next band, then pull the bottom band through the middle band like an inverted fishtail. You just repeat that until it is long enough. Do you know if this has already been created?